Jellybeans: Morning, Noon and Night! 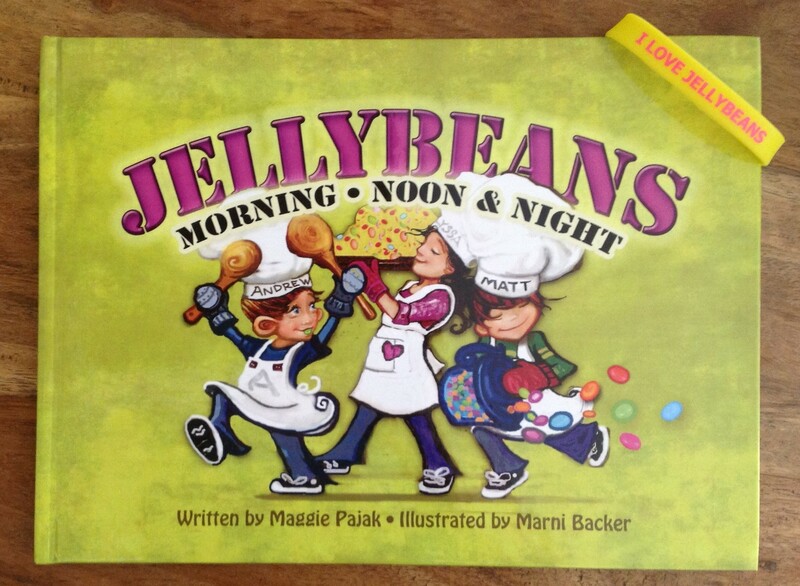 “Jellybeans: morning, noon & night” is a deliciously politically incorrect illustrated children’s book written by Maggie Pajak and illustrated by Marni Backer. The book tells the story of Matthew and Andrew, two brothers (and Maggie’s children in real life) who LOVE jellybeans so much, they wish they could only eat jellybeans for breakfast, lunch and dinner. To that end, and with the help of their cousin Alyssa, they devise a brilliant plan. This story is very refreshing especially in a world where sweets are being demonized and in a world where the author is taking a risk by writing about children eating jellybeans. Ok, we know, sweets give you cavities and are not so good for you!!! Well, in my opinion, if you cannot eat sweets when you are children then life is a bit dull, isn’t it? 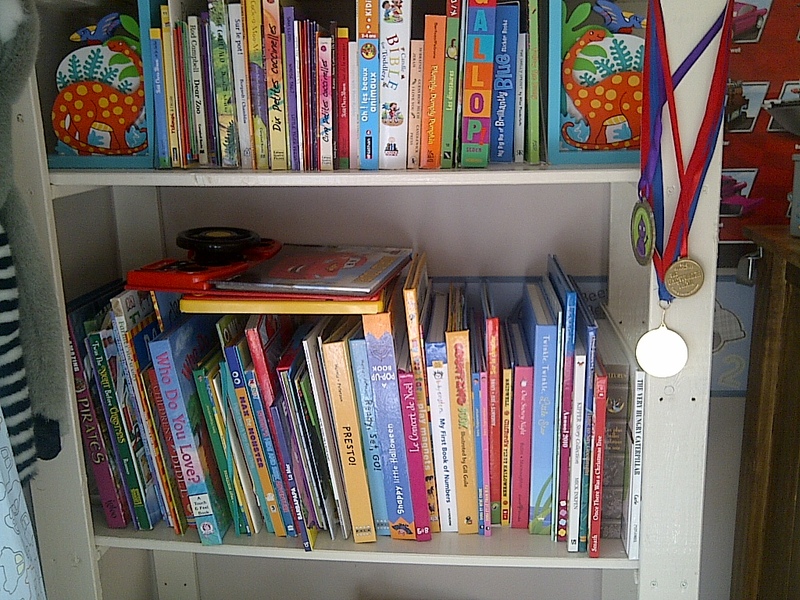 And ultimately, it is all about learning to be reasonable, which is exactly what this lovely story is about! 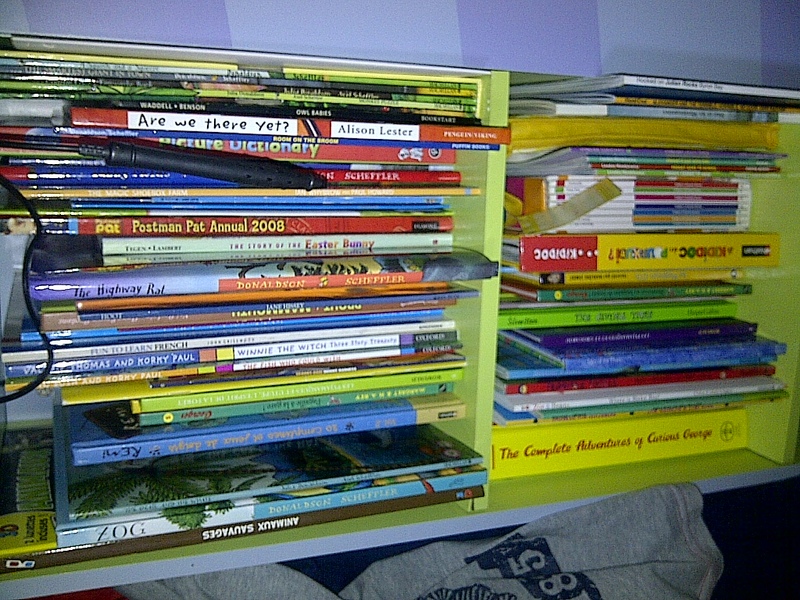 The book is also dedicated “to all of the soldiers who are not able to tuck their little ones into bed with a night-night story while serving their country and all of their little ones who wish that they could” which I find, pardon the pun, ever so sweet…. 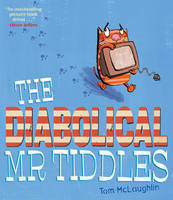 One month ago, I asked my lovely twitter followers what their current favourite children’s book was and @QcqttQ recommended “The Diabolical Mr Tiddles” by Tom McLaughlin (@_TomMcLaughlin on Twitter). 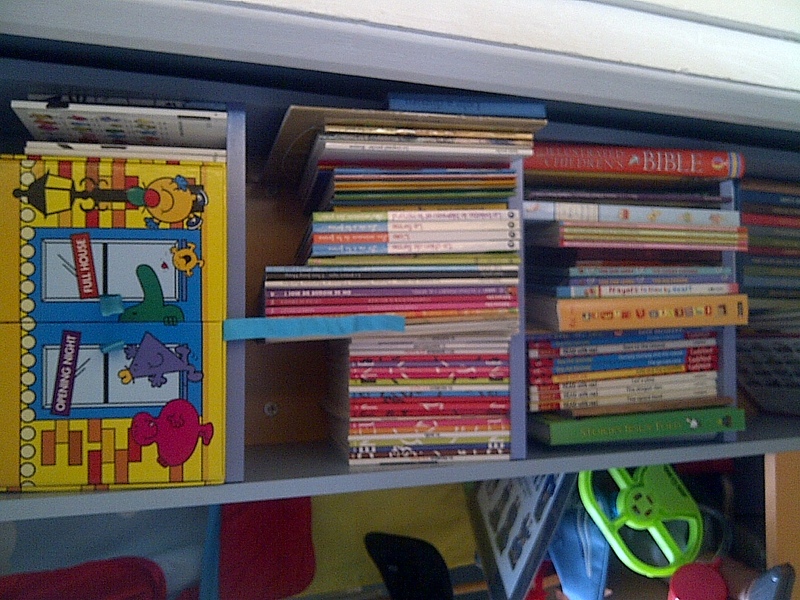 I have to confess that neither my kids nor I (we each have our own childrens’ book libraries as you can see below) had this book. So, since the title really aroused my interest, I decided to order it and review it.